Are you fed up of feeling trapped? Maybe it feels like you aren't in control of how you feel anymore? It's time for you to take control and feel free. Tick this box if you wish to receive weekly emails with valuable content relevant to you. 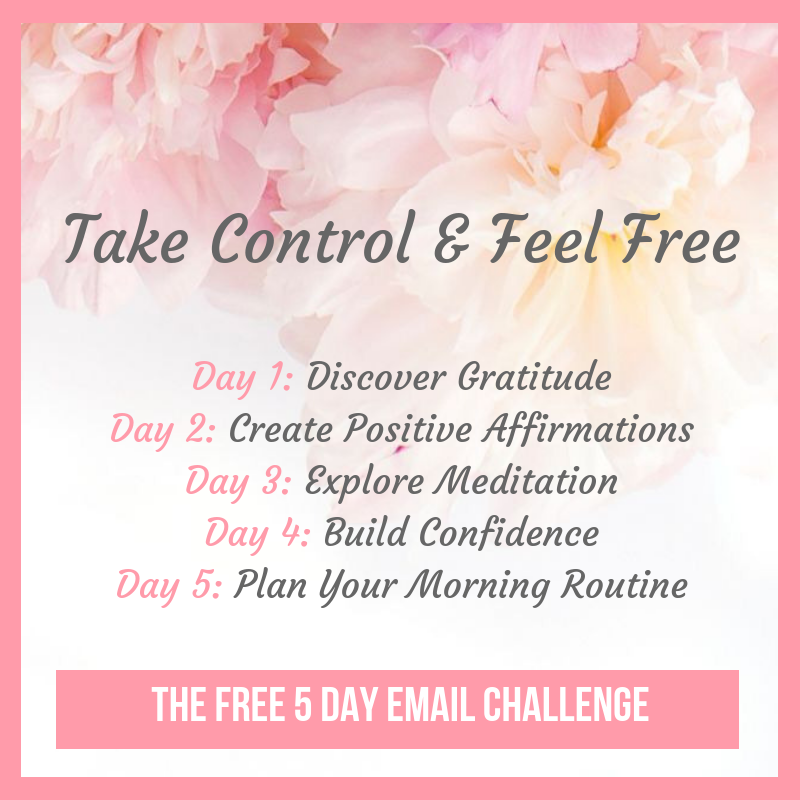 This 5 Day Email Challenge will get you started on taking control of your life. Using simple habits you can slowly start to become the person you've always wanted to be and feel free. You will receive one email a day for the next 5 days. EXTRA BONUS: A free Facebook Group to join if you wish to, for extra support, encouragement and interaction with others on the same journey. It is up to you which habits you choose to try. Give them a go and see if you enjoy them, if not don't worry. These are just a few habits that can help you on your jouney. It's all about finding the ones that work for you. I am so happy you have decided to join this email challenge. Feel free to email me at any time if you have any questions. You will receive an email shortly, I'd love to hear from you if you feel like replying. Click below to join the free Facebook Group specifically for the challenge. You will have the chance to meet others on the same journey and get extra support and encouragement from me. If you're looking to take back control and work towards a life of freedom this has been made for you.